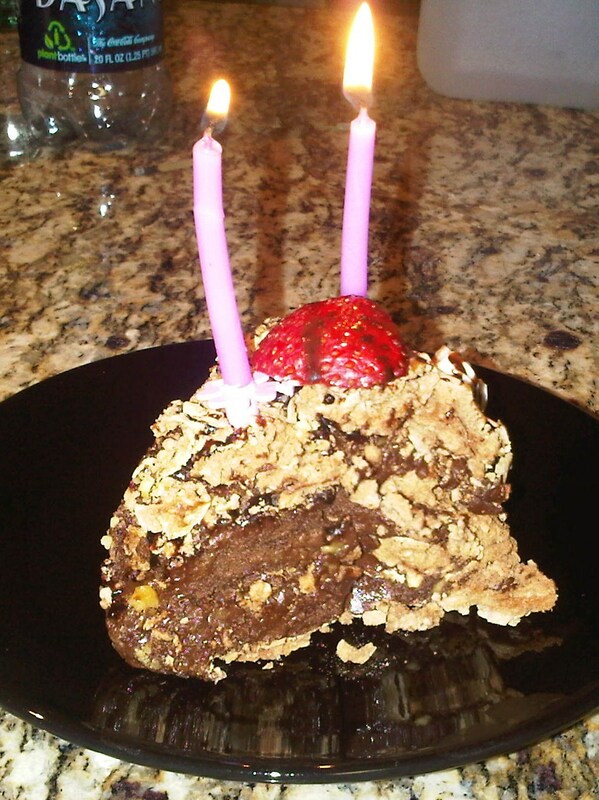 Last night, I celebrated my birthday for the fourth and final time for this year. All four of my mini celebrations were noteworthy and memorable but this one was doubly so since it was also my nephew's one month celebration. Everything worked out incredibly nicely and we went out to dinner at a fabulous restaurant on Sunset Boulevard in West Hollywood where everything was absolutely perfect... really, no exaggeration ... at all. Cravings is a restaurant owned by a Turkish chef Ibrahim Oztok that we had dined at on one of our prior visits to LA; it had left me with a favorable impression but this time the experience was just unforgettable. 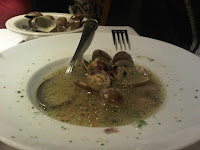 I have been on a gluten-free diet since the beginning of the year and this can be most challenging when eating out. As I have been doing for the past seven months, first thing I did was to ask our waiter if he could possibly help me out to find something suitable from the menu. He just gave me an assessing look and uttered what I most wanted to hear- "I think you can pretty much have anything you want on the menu but give me a minute, I'll go and check" leaving me gaping in his wake. He came back to confirm his original bold statement and I went on a heavenly eating spree. Chicken Curry soup that was both delicious and light at the same time. 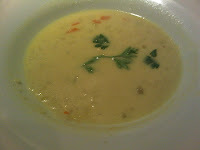 The little vegetables that could be discerned in the soup added a fresh and healthy edge to the already incredible taste. I could go back there just to have this soup again. 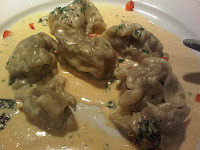 My Crab Ravioli in light lobster cream sauce. I always prefer pasta with a cream sauce and this one was one of the best I ever had. The ravioli was more similar to Chinese Dumplings than the ravioli we are used to and this made it even more interesting; it was a savory mouthful with a delicate sauce to complement it to perfect harmony. The Chicken Parmiggiana served with fettuccine in a tomatoes sauce. 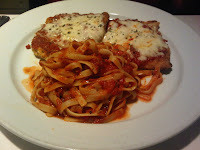 This is usually served with a Parmesan cream sauce but Wendy ordered it this way and was very happy with her choice. 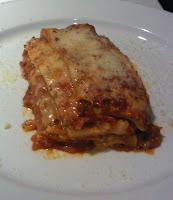 This was Cenk's Traditional Lasagna which he said was good but would rate it third after our two incredible entrées. I got so carried away with the food that I just realized I didn't mention anything about the restaurant... it is a first-rate Mediterranean restaurant with outdoor dining which is always a plus especially in a place like LA where you have near perfect weather year-round. The service was exceptional; all three of us asked for water in a different way and our glasses were always filled properly. It seemed like he knew what we might need one second before we thought of it ourselves. The service made the whole dining experience all the more enjoyable. Everything we dined on was so fabulous that I had to ask the waiter to recommend a desert for me. He didn't even blink when he said the Chocolate mouse meringue cake was incredible ... I didn't think twice. Just around the time we were finishing up our dinner, Prometheus decided to wake from his nap and demanded to be noticed, so we took our cake home with us. Right before calling it a day we lit two candles, one for me and the other for Prometheus; Wendy and I blew out the candles together and went on to finish the heavenly concoction with delight. It was the perfect ending for what had to be one of the most wonderful days... holding my little nephew, having a lively, stimulating conversation with my brother and his wife, indulging in one of the most unforgettable meals of the year and all of this as only one quarter of my birthday celebrations .. what more could a girl ask for?? ?